Nano Movement Sensor, Eyelid Sensor. 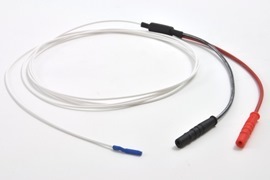 1,5m cable with 2 Touch Proof cennectors. 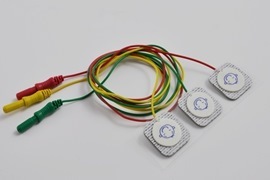 Pico Movement Sensor, Eyelid Sensor 7mm. 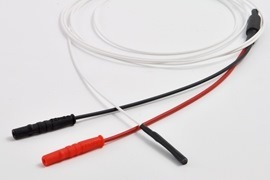 1,5m cable with 2 Touch Proof cennectors. 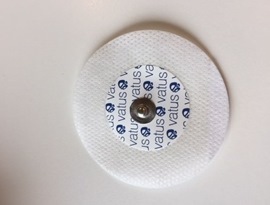 Disposable ECG Snap electrode general use, 55mm Round Foam, Solid gel (Bag of 30). 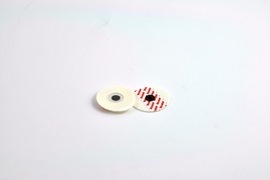 Pro-neo dia 22mm Disposable surface electrode, 60cm lead wire, red, green and yellow. 1,5mm DIN safety socket (3 pcs. pr. bag).